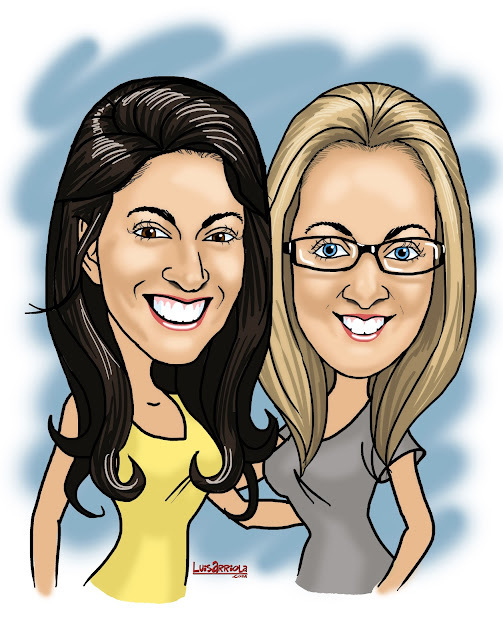 EA LOVES : #ealtuesdaytryouts caricatures by Luis Arriola! #ealtuesdaytryouts caricatures by Luis Arriola! It was recently that I thought-how fun would it be to get one for me & Emily for our blog profiler!! I love love love this photo of me and my bestie proudly wearing our #eal colours!! Emily loves it too and already has one printed and framed. I am going to make a wall of them in my house and get the kids and all done-maybe even Penny our chihuahua!!! #ealcurrents-what are we up to now? ?